Australian mining magnate Clive Palmer has unveiled ambitious plans for a Chinese state-owned company to build a replica of the Titanic. The Billionaire told the Australian media that building would start next year, with its maiden voyage from the UK to New York planned for some time in 2016. Palmer's vision is to combine modern technology with the same dimensions and specifications as the vessel's predecessor. 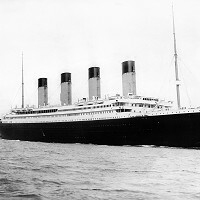 The 'new Titanic' is to be built by the CSC Jinling Shipyard in China. The magnificent vessel will feature nine decks and 840 cabins, while measuring 270 metres long and 53 metres high. When it comes to weight, it will tot up 40,000 tons on the scales. More than 1,500 people will be able to board the liner once finished, but they will likely arrange cruise travel insurance first to ensure peace of mind before setting sail. Palmer said in a statement: "It will be every bit as luxurious as the original Titanic, but ... will have state-of-the-art 21st-century technology and the latest navigation and safety systems.